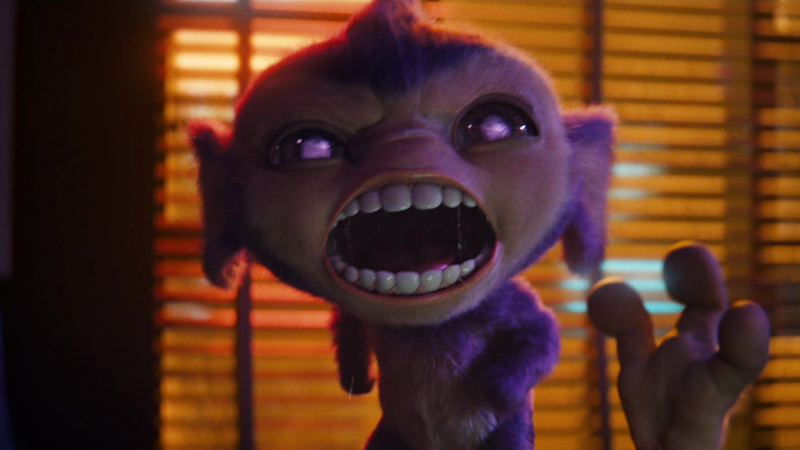 Let’s talk about Detective Pikachu! Watch out! There may be spoilers! With the Pokemon Detective Pikachu movie releasing in just a few weeks. There’s plenty to think about on what we can expect to see. Once again, our very own, Chakramaster, is here to share his thoughts on what we can expect to see and just how closely things seen in the movie may relate to the game. 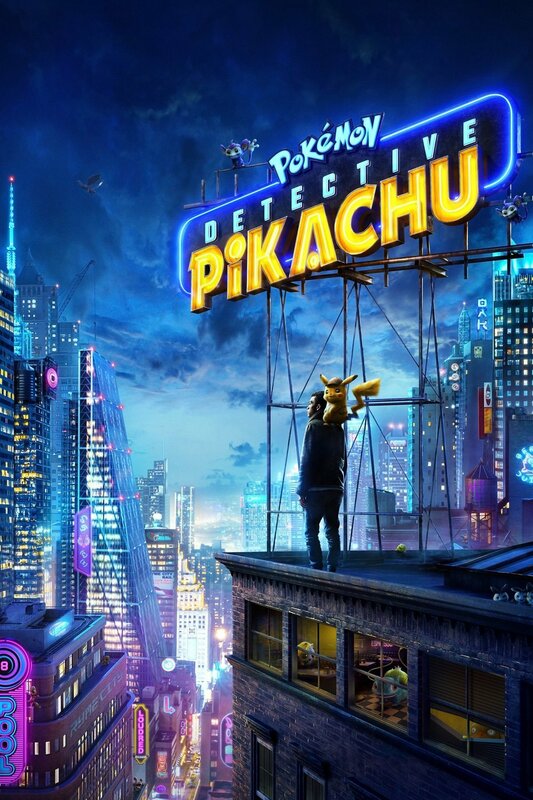 The Detective Pikachu movie and the game are sure to have their similarities. While the movie is based around the game. There are sure to be some very familiar scenes. Maybe some very subtle, while others may be more similar. To prepare for the movie I will review a few things. In this article, I will go over a few of these key points and review what we can possibly expect to see in the movie versus what we have seen in the game. So expect minor spoilers in this. As since it’s based on the game it may have these same features from the game. Firstly I’ll go over one main feature we see. The stadium you see Pikachu in. While there was never really any stadium. We did have a carnival. One known as Fine Park. Here they had a variety of events happening. One, featured a show with the Pokemon of this park. Mainly featuring one Pokemon overall. Charizard. Though one day, something went wrong and Charizard acted strangely during it’s performance. It crated havoc among the park and crowd that came around to see it. Thus, shutting the park down. In this movie, maybe things got a bit darker. As we can expect from a movie versus a game. Things can sometimes take another turn. Maybe what caused Charizard to lose control of itself is still playing part and someone has control over it now. Making it fight in underground battles. Observation #2: Pikachu did have amnesia in the game after the crash he and Tim’s father Harry had. Here’s where we will delve into some spoilers. So be warned. Though there was someone else there after the crash. Many of us that have played the game know who this was. Yet, to everyone just seeing the movie trailer, it was a huge surprise! It was none other than Mewtwo who just so happened to see this happen. Mewtwo came to Pikachu and that’s about all we know. Is Harry was unconscious, but Pikachu was okay from the looks of it. Thing is, we know for sure that Harry was onto something. Something big. When someone found out he knew too much and had evidence. They wanted to get rid of him. So they did what they had to, only thing was. Pikachu got away, but Harry? Well, we still don’t know, but…we kinda have an idea. See, Pikachu couldn’t talk to anyone before this. So how is it somehow now Pikachu can talk to Tim and only Tim? Yet his father is mysteriously still missing. There’s more key evidence to this shown in the game for another discussion. During this time though, it’s important to note that Pikachu made a promise to Mewtwo. Anything else besides the promise to stop the creation of a certain drug. Well, we just don’t know. Obeservation #4: While this one is a huge stretch. There are still many secrets to this Pikachu, but he says he wants to help Tim find his dad, Harry. Harry is his “partner” after all too. Thing is, is that really true? While yes, this [I]IS[/I] Pikachu. Thing is…Pikachu don’t just talk our language and especially not to just one person without reason. Even this is proven by Meowth in the anime. Ryan Reynolds: While he is the voice actor for Pikachu in this movie. Maybe there’s a hint here in something he said. In one instance with a promo for the movie. He talks about how he seriously gets into the character for his roles. He essentially “BECOMES” the character. How he tried to become Detective Pikachu. While there’s joking in there….is it really a joke or is this a veeeery subtle node to the fact that Harry is the Pikachu right now? Side note: There was a Game Theory video on this, but it’s eeeeeeaaasily debunked just by playing the game. Which the host of that, Matt Patt himself admitted. He did NOT play the game. Just because of that, his whole theory gets tossed out the window by one key factor. He believes that Detective Pikachu is Ash’s Pikachu. Weeeeeell while that could be a possibility, it’s not. 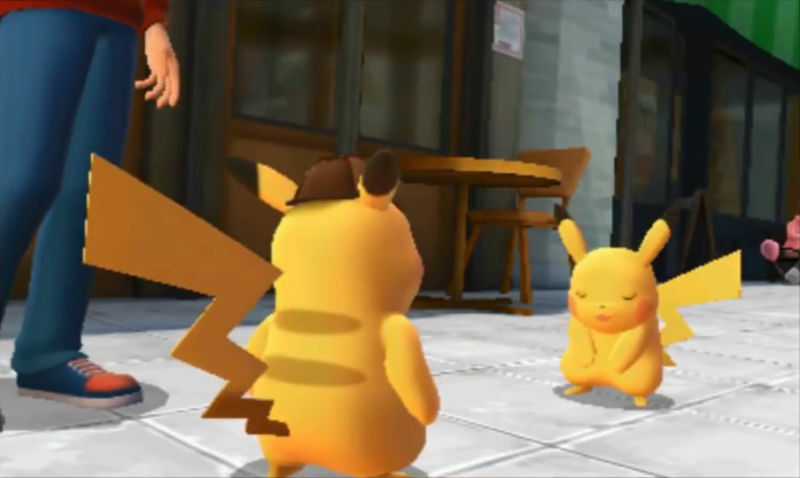 In the game, there’s a scene where you see our very own, Detective Pikachu talking with another Pikachu. THIS my friends, is Ash’s Pikachu making his very own cameo in the game. With this evidence, I can safely say Detective Pikachu is not Ash’s Pikachu. If anything, these two statements together so closely make me wonder. Was it planned? Is this more speculation to add to the hype for the movie? With all the surrounding hype. We already know the sequel is being planned (and confirmed!). So how closely will this be to the game versus the movie? Well, I know for sure if we can expect to see the drug R in the movie. In the latest Pokemon cast trailer we see for the movie. Pikachu is popping a vial open with some purple looking gas. Coincidence? Maybe, but the FINAL key note to this versus the game. Pikachu never used to drink coffee. It was always Harry before he disappeared. One of his favorite drinks while on cases. While Pikachu are usually full of energy. Somehow this one is far different than any other. Bigger too! Before Harry disappeared though. This Pikachu never liked coffee. Maybe if anything we have another Bill experience here. Ryan Reynolds points it out himself how he tried to become Pikachu. Well, maybe there’s more to what he says right there behind a veiled glass, but if we use our own magnifying glass in investigations…well we may have our key evidence right there. I guess maybe when the movie comes out. We may know more, but even the game left us hanging for a sequel in the future. Only time will tell for now.